It’s a meal, snack, lifestyle & all senses put together! Brooklyn Bros., inspired by the better-burger concepts Brooklyn Bros seeks to enter a unsought market which is a gourmet affordable hot dog joint. A witty and unique name that makes a striking impression on the audience and is very memorable. Brooklyn Bros h is a make your own hotdog cart, the identity speaks very much to the experience one has in any of our restaurants. From the environment to the product and the service — the entire experience is one to relish. The identity is straight forward, modern and memorable. Quality you can taste. From the first bite of your burger to your last French fry, quality is the most important ingredient of all. We don't freeze. We don't pre-package. We don't over-process. We just make things the old-fashioned way. Our commitment to quality starts with our hotdogs. We make them from fresh, 100% free of additives, fillers and preservatives of any kind. Our commitment to quality doesn't stop there. Our lettuce is hand-leafed. Our American cheese is the real thing. And we use the best available onions and the plumpest, juiciest tomatoes we can find. All of our ingredients are delivered fresh to our stores. In fact, we don't even own a microwave, heat lamp, or freezer. We even bake our buns using old-fashioned, slow-rising sponge dough. And we make every burger one at a time, cooked fresh to order. Our fries come from the finest, freshest ingredients we can find—potatoes shipped right from the farm. They're individually cut in our stores, then cooked in 100% pure, cholesterol-free vegetable oil. Our shakes are just as genuine. Because we know a real shake can only be made with real ice cream. At Brooklyn Bros that's the only way we'll ever make them. Because when all you serve is hotdogs, fries and drinks, doing things the old-fashioned way is the freshest idea of all. Brooklyn Bros kiosks are designed to be environmentally friendly. Recyclable and sustainable materials, solar power, local products and eco-friendly efficiencies. The proposition is straightforward: Keep it Simple, Trendy and Eco friendly. It is designed to create fun experiences worth sharing with others. All Brooklyn Bros, sauces and pickles are from top brands like Heinz, Hellmans, French's mustard with unique bottling set in front of the consumer’s eye, hotdog supplied by a Member of Emirates Culinary Guild and all hotdogs are made and custom made in Dubai freshly made on the daily basis. Buns are also freshly baked with 5 different kinds sesame seeds/potato bun/whole meal/finger bun/hoagie bun. All recipes are unique and authentic. 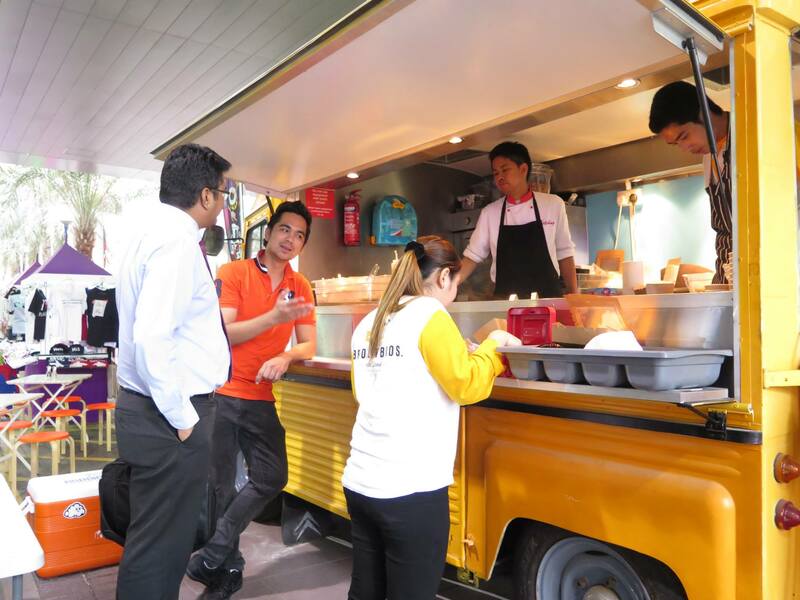 Interested in becoming a franchisee of the hottest food truck in the region?